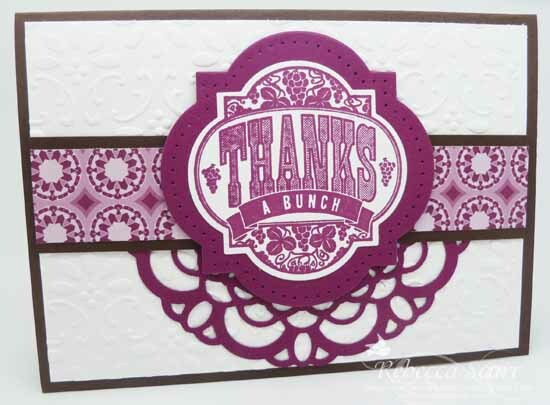 16 January 2013 – Thanks a Bunch!! 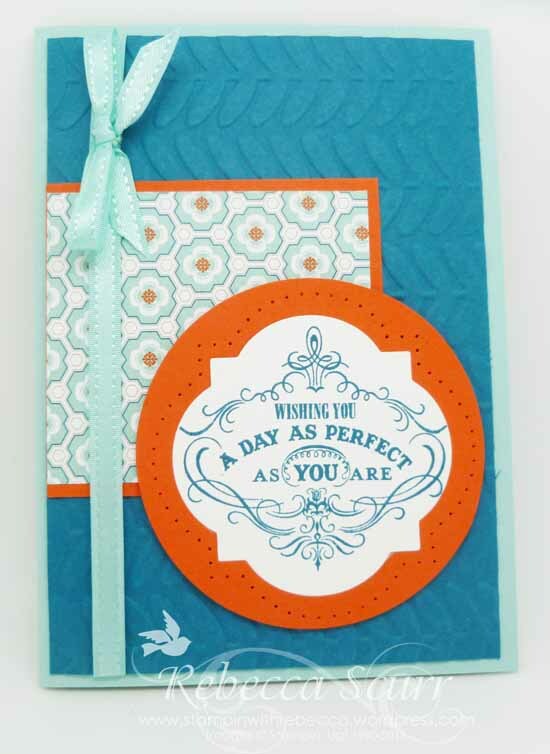 I have had the Paper Doily Sizzlit for a while now and I think it is gorgeous!! I haven’t used it on a card yet, so when I came across this one by Amy’s Paper Crafts on Pinterest, I just had to give it a try! Australian paper sizes are slightly different to American and this just wasn’t going to fit Portrait for me, so I turned it on it’s side. The sizzlit is a bit challenging to run through the Big Shot and get a good cut out but I played with my “sandwich” and eventually got it to work nicely. My first attempt looked nice but I felt like it was missing just a little something. Here is the first one. 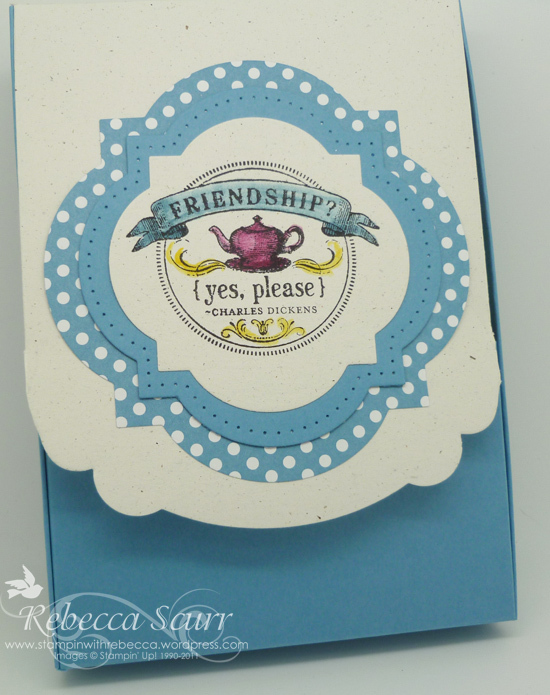 So on my second attempt, I ran the whisper white background through the Petals a Plenty embossing folder, and voila! Awesomeness!!! 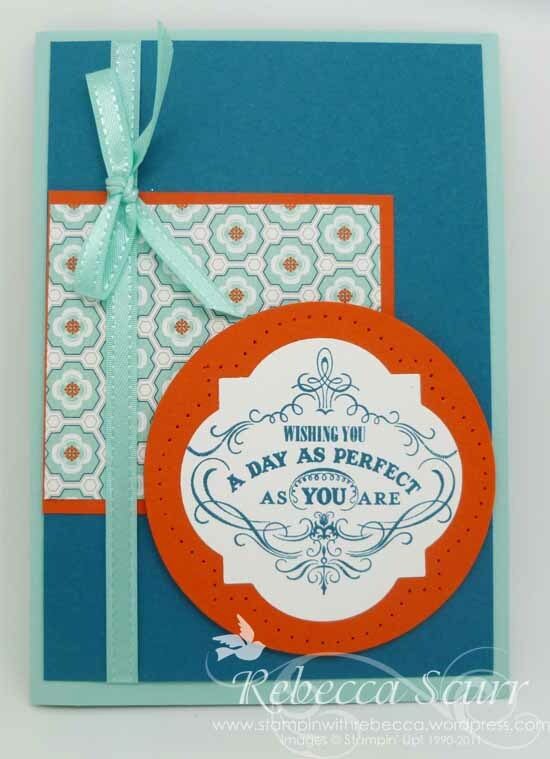 Accessories: Big Shot, Petals a Plenty embossing folder, Window Frames Collection Framelits, Festive Paper Piercing Pack, Paper Doily Sizzlit. 14 October 2012 – Congrats! So I needed to send her a congratulations card. 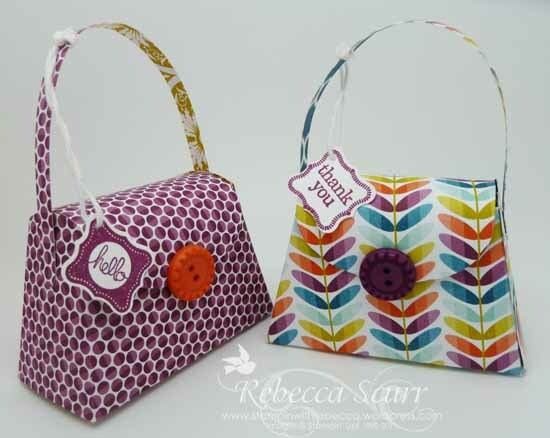 I was inspired by the Birds of a Feather Designer Series Paper. I wasn’t really into this DSP from the pictures in the Catalogue but seeing as I have earnt some free paper from a promotion earlier in the year, I thought I would get it. Well I am really impressed!! 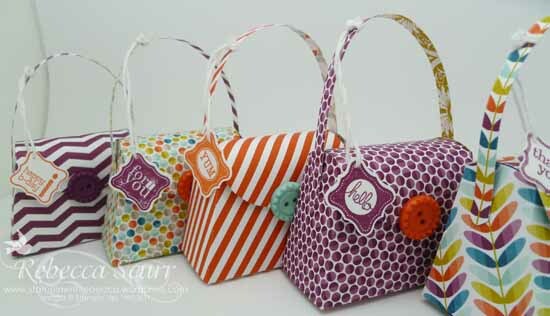 It is very nice and perfect for baby cards! 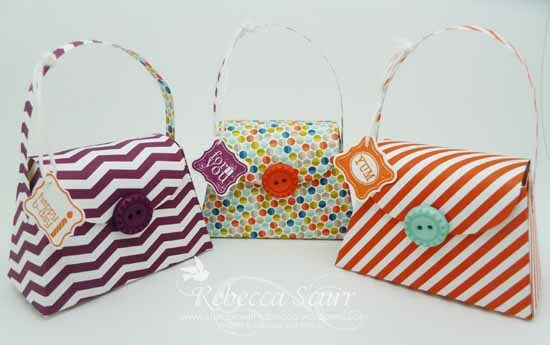 I’ve also used some of the free ribbon from this months’ special. Check out my Specials page for the details. As I mentioned the other day, I don’t really have a lot of kiddie or baby stamps but I do have some with the right words so here is my card. Paper: Island Indigo, Primrose Petals, Whisper White, Birds of a Feather DSP. Accessories: Big Shot, Lacy Brocade embossing folder, Window Frames framelits, Festive Paper Piercing pack, Primrose Petals stitched satin ribbon. This box looks so pretty!! I’m really happy with how it turned out. I used the Window Frames Collection Framelits and again used the Festive Paper Piercing pack. I used the Apothecary Accents framelits to put the frame at the bottom. 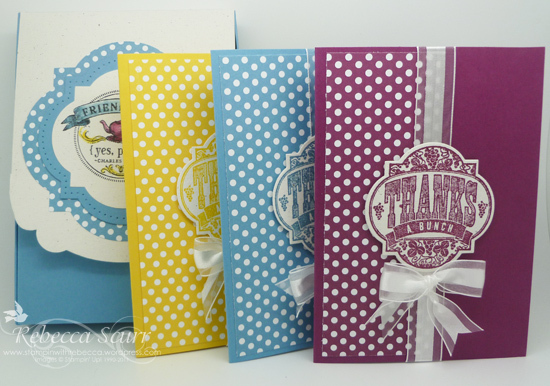 I used three of my favourite colours, Daffodil Delight, Rich Razzleberry and Marina Mist to match with the Polka Dot Parade DSP. Accessories: Big Shot, Apothecary Accents framelits, Window Frames Collection framelits, Organza Ribbon, blender pens.